HIGH HEAT RETENTION STORAGE HEATERS. 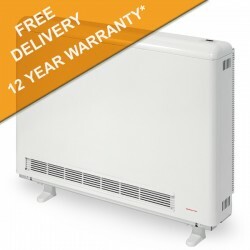 Elnur HHR storage heaters have the capability to use a Single Supply Only connection, have The Most Efficient Thermostat on the market and are our prefered choice over the Dimplex Quantum, Creda and others. The Elnur Ecombi HHR range achieve the Highest “SAP” Category Rating available and come with an Unrivaled 12 Year Warranty. Fully Programmable storage heaters with a *0.1ºC Thermostat Accuracy these Smart Storage Heaters with intuitive control are Affordable, Controllable and Energy efficient. For more information or any assistance Please Contact us Today!